Autumn is here and Winter is approaching!! I am a lover of prints and vintage clothing, all year round!! 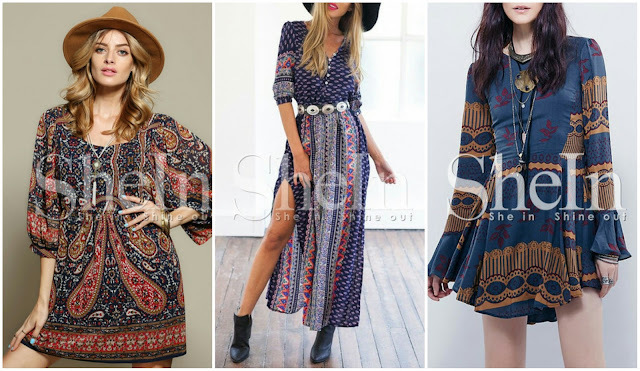 I discovered a new website www.shein.com via a blogger on twitter and found some great pieces at discounted prices. Shopping around I have seen that 60s/70s fashions are coming back on trend, which I didn't think I would like, but I actually do!! I have been browsing on Shein and found some really nice pieces that I may get for the winter months, that can be mixed with some warm booties and faux fur coats. Check out my Autumn prints lookbook below for some pieces I have purchased over the last few months. Will you be wearing prints this Autumn?